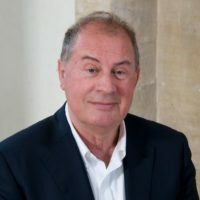 The English counter-tenor, James (Thomas) Bowman, has been one of the world’s leading counter-tenors for nearly 30 years; his career spans opera, oratorio, contemporary music and solo recitals. James Bowman was educated at New College, Oxford, receiving his Diploma in Education in 1964 and M.A. in History in 1967. He began singing as a chorister at Ely Cathedral and later went to New College, Oxford, where he was a member of the chapel choir. He also received vocal instruction in London from De Rentz and Manen. As the result of an audition, James Bowman was invited by Benjamin Britten to sing at the opening concert of the Queen Elizabeth Hall in March 1967, and this marked his London debut. He was soon in demand on both the opera stage and the concert platform, appearing at Sadler’s Wells in 1967 (A Midsummer Night’s Dream), at Glyndebourne in 1970 (La Calisto), the English National Opera in 1971 (Semele), and at the Royal Opera House, Covent Garden in 1972 (Taverner). Among his numerous opera engagements abroad mention should be made of Paris (L’Opéra, L’Opéra Comique and Théatre des Champs Elysées), La Scala, Milan, La Fenice, Venice and the Festival of Aix en Provence. In Australia he has appeared at the Sydney Opera House and in the USA at San Francisco, Dallas and Santa Fe. James Bowman’s concert career is equally wide-ranging; in Europe he is well known as a recitalist, and has a large following. In 1992 the French government honoured him with admission to ‘L’Ordre des Arts et des Lettres’ and he was awarded the Medal of Honour of the city of Paris in recognition of long-standing contribution to the musical life of the city. He has given the world premiere of many important contemporary compositions, including works by Benjamin Britten, Michael Tippett, Peter Maxwell Davies, Richard Rodney Bennett, Robin Holloway, Geoffrey Burgon, Michael Nyman and Alan Ridout. He was appointed a CBE in the 1997 Queen’s Birthday Honours.